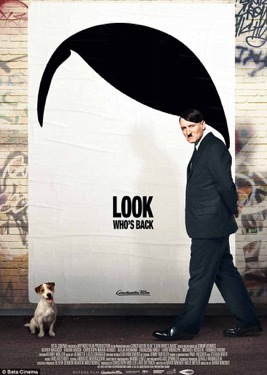 Look Who’s Back is a German dark comedy about Hitler showing up in the present day. He listens to the German people as they tell him their woes during Boratesque sections. Most realize it’s a gag, but more than a few are open and honest about their dislike of immigrants and the decline of German society. He makes them feel heard. He nods and makes promises. It never feels like a joke. Oliver Masucci is incredible as Hitler. Most media portray the Fuhrer as either a clown or a super-villain. But Masucci somehow manages to do a slapstick Hitler that’s still ruthless, intelligent … and charismatic. See full review. This satirical movie has been called a ‘stark warning’. But of what exactly? Do you feel tricked by the director? “I’ve never before seen a performance of Hitler that made me understand why Germany elected him.” How do you respond to this statement? Director David Wnendt believes it’s better for Germans to laugh about Hitler than to demonize him. What do you think is true about this? Untrue? The book Look Who’s Back imaginatively plays with ‘what if’ scenarios. The movie takes it a step further into a mockumentary. What difference do you think this makes? The movie’s parody risks celebrating/promoting that which it seeks to critique. Does the movie succeed despite the risks? In this age of ‘Hipster Hitler’ or “Cats That Look Like Hitler’, do you think this movie trivializes what he did? What do you think the role of satire is in modern culture? How does your faith story give you wisdom in confronting the dangers of the Hitlers among us? Does the narrative remind you of a Biblical counterpoint? How do you interpret the recurring Hitler scene at the end? Is there a particular lesson embedded in the movie for the Donald J Trump phenomenon?